For more than three decades, Ellen Datlow has been at the center of horror. Bringing you the most frightening and terrifying stories, Datlow always has her finger on the pulse of what horror readers crave. In this anniversary edition, Datlow brings back her favorite stories of the series’ last decade in a special edition encompassing highlights from each edition of the work. With each passing year, science, technology, and the march of time shine light into the craggy corners of the universe, making the fears of an earlier generation seem quaint. But this light creates its own shadows. The Best Horror of the Year chronicles these shifting shadows. It is a catalog of terror, fear, and unpleasantness as articulated by today’s most challenging and exciting writers. And in this anniversary edition, we share the most important stories which have been covered in the last decade of horror writing. “A stunning and flawless collection that showcases the most terrifyingly beautiful writing of the genre. Datlow’s palate for the fearful and the chilling knows no genre constraint, encompassing the undead, the supernatural, and the cruelty perpetrated by ordinary humans. Exciting, literary, and utterly scary, this anthology is nothing short of exceptional." 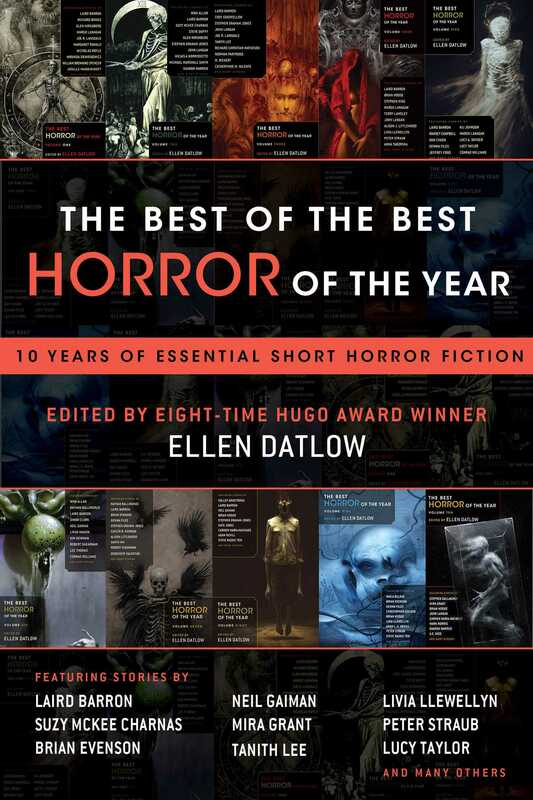 “Datlow’s The Best Horror of the Year series is one of the best investments you can make in short fiction. The current volume is no exception."